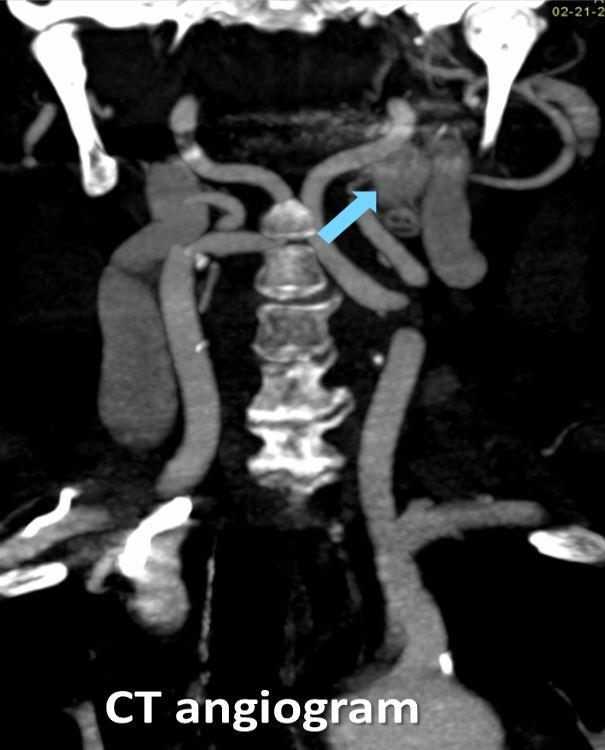 The glomus vagale tumor is a benign type of paraganglioma which arises from the paraganglia near the vagus nerve. The underlying cause of glomus vagale paraganglioma is not well understood, but the tumor can be associated with inherited syndromes secondary to gene mutations. 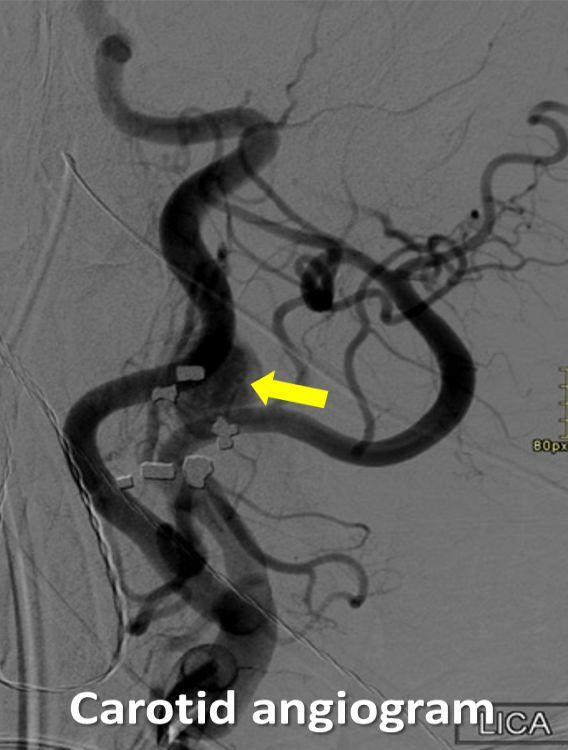 Conventional catheter angiogram shows a well circumscribed contrast blush (A, yellow arrow) showing the high vascularity of the paraganglioma. 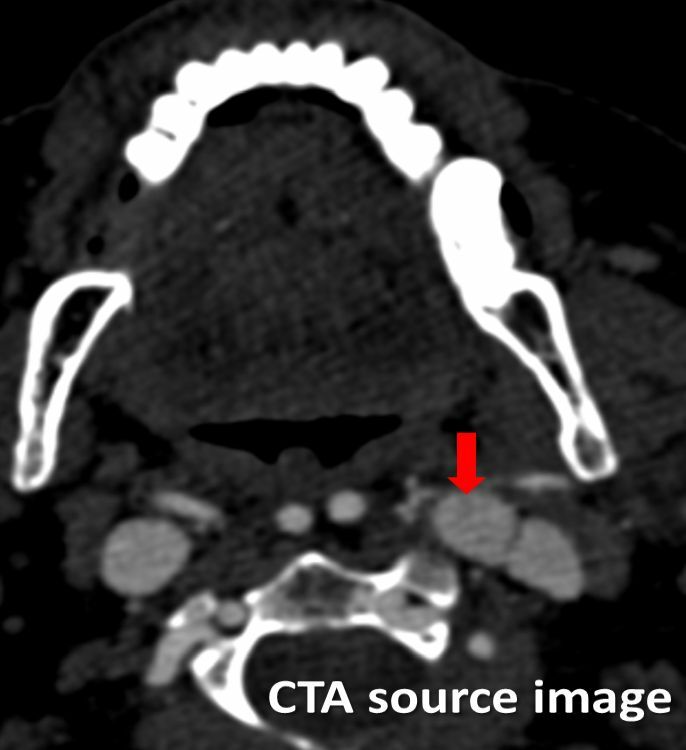 The CT-angiography images show a well circumscribed, homogeneously enhancing mass (B, blue arrow) in the carotid space ,which displaces the jugular vein laterally (C, red arrow).